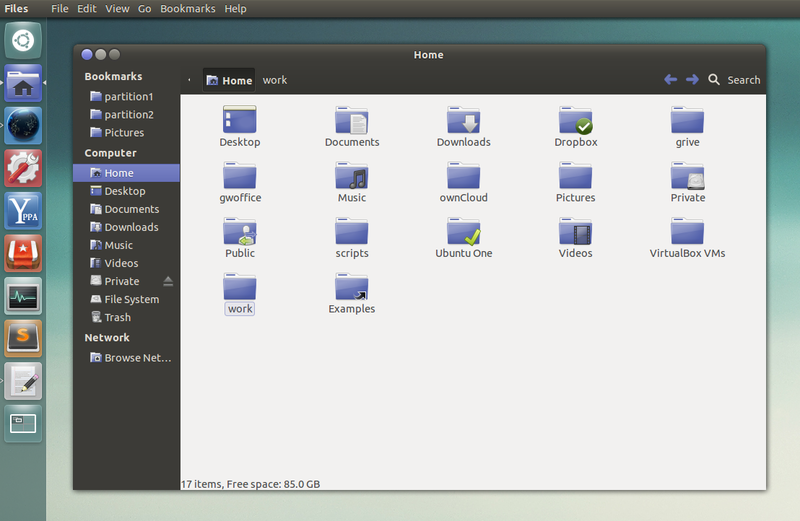 The Unity Revamped PPA created by Isaac Joseph, which provides Unity with two patches: Dodge Windows and minimize/unmaximize on click for the Unity launcher, has been updated yesterday with some fixes which aren't yet available for the Unity package from the official Ubuntu 12.04 repositories as well as a new patch that brings a much requested feature: an option to disable the application menu (global menu) autohide behaviour. 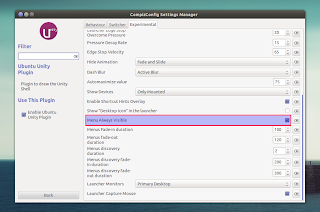 The option that lets you disable menu autohide in Unity was supposed to be included by default in System Settings for Ubuntu 12.04, but it didn't make it for some reason. 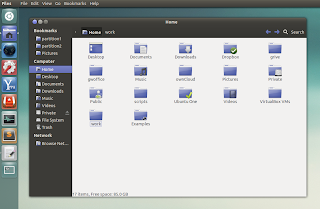 Hopefully, this option will make it into Ubuntu 12.10 by default, but until then, you can use the PPA below to get an option to disable the application menu autohide behaviour. Once the packages have been successfully upgraded, log out and log back in. 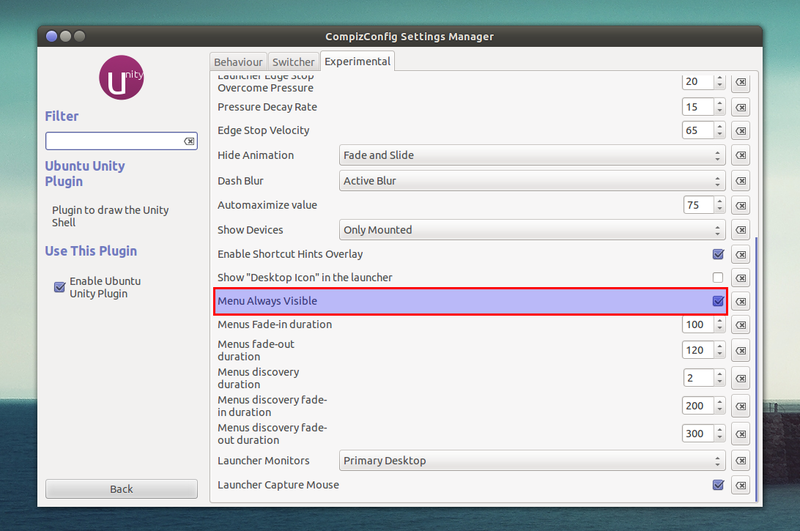 Then open CompizConfig Settings Manager (CCSM), select "Ubuntu Unity Plugin" and on the "Experimental" tab, check the box next to "Menu Always Visible" (it's not checked by default).